At BM Dvelopers, we create comfortable, well-planned urban spaces for both residential and commercial purposes. As one of the foremost builders in Bangalore, our team of professionals ensure that your property is among the best of real estate in Bangalore. 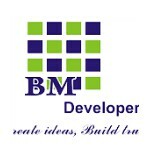 Founded by Mr. Gajendra Naidu in the year of 1996, BM Developers brings alive the creativity, integrity and versatility encompassed within each of its projects, with the sole aim of providing superior contemporary living spaces envisioned with a traditional approach, to bring every customer close to nature. Our customer-centric approach focuses on creating harmonious energy and positivity for quality living and lasting relationships with our customers. With an experience over 20 project in past 8 years. Has proven track record on deliver, quality and timeline. Currently we have over 8 ongoing project ranging from 20.5 lakhs onwards. Project are spread across South and East Bangalore.